Jeff Riggenbach has a podcast series on "The Libertarian Tradition" at Mises.org that gives a history of libertarianism. 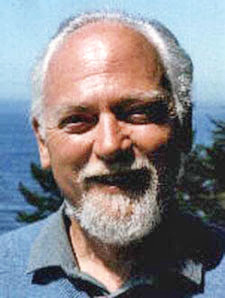 His August 4 episode tackles Robert Anton Wilson. Riggenbach's take, probably a bit controversial, is to emphasize the influence of Ralph Borsodi on Wilson's political thought. At the least, this will give other RAW scholars something to argue for or against. Riggenbach also quotes from "Cosmic Trigger II: Down to Earth" and has a nice anecdote that illustrates how RAW became a big celebrity in the libertarian movement following the publication of ILLUMINATUS! Borsodi founded the School of Living. 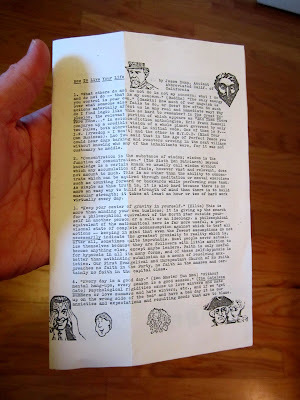 RAW worked for them for a couple of years in the early 1960s, when he edited the organization's magazine while living near Yellow Springs, Ohio. The School of Living is still around and currently is located in Julian, Penn. It does seem Borsodi was a substantial influence on RAW's politics, but I thought the library of massive amts of libertarian/anarchist/socialist books at the School for Living was probably a bigger influence? That was my thought, too.....RAW mentions Benjamin Tucker a lot, for example.